The Mendocino Complex fire in northern California has spread to more than 300,000 acres—a swath of land bigger than New York City. The blaze is the state’s largest wildfire in recorded history, edging out last year’s record-setting Thomas Fire, which devastated communities north of Los Angeles. While climate change is certainly to blame in fanning the flames of wildfires (by boosting temperatures, parching landscapes, and causing more erratic rainfall) there’s another factor that’s making today’s fires increasingly dangerous: people. Specifically, a nearly 1,400 percent increase in the number of people building homes in harm’s way since the 1940s. Villanova University’s Stephen Strader published those findings earlier this year in the journal Natural Hazards, and he joins Ira and USGS research scientist Jon Keeley to discuss how humans can cope with deadlier, more destructive wildfires. 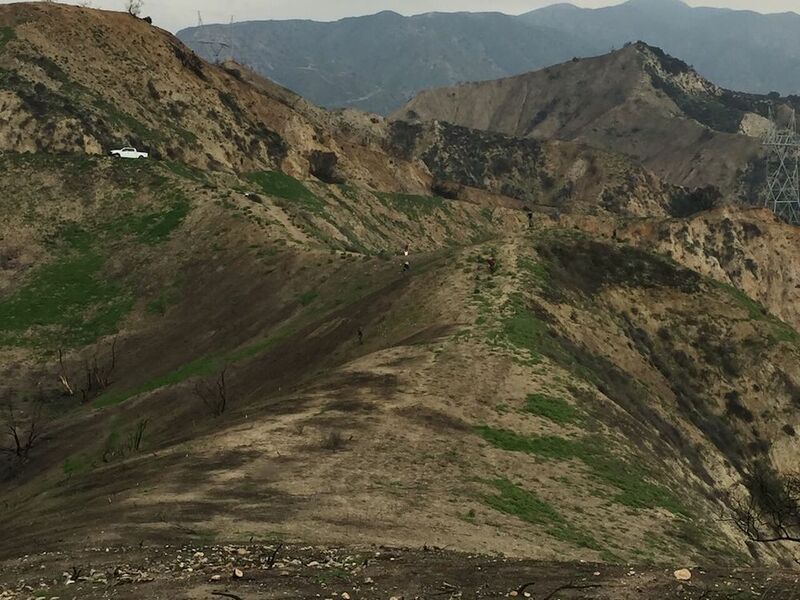 Plus, restoration ecologist Erin Questad of Cal Poly Pomona joins to discuss her work nursing charred landscapes back to life. Jon Keeley is a research scientist at the USGS, Sequoia National Park. He’s also an adjunct professor at the University of California, Los Angeles. Stephen Strader is an assistant professor with the Department of Geography and the Environment at Villanova University. Erin Questad is an associate professor in biology at Cal Poly Pomona in Pomona, California. STEPHEN STRADER: Hi. Thanks for having me. IRA FLATOW: Now your study shows that more and more people are at risk for wildfires than ever before. And that there’s been a huge boom in building these vulnerable areas. And they’re building in the areas. Tell us about it. STEPHEN STRADER: Yeah, so when we look at disasters themselves, I like to think about a wildfire that occurred in the middle of nowhere 100 years ago. We don’t really hear about it. We don’t care about it. But throughout time, really since the 1920s, 30s, and 40s we’ve started expanding our cities. Development has sprawled outward from the urban cores. And we’re now living in regions that have always been prone to wildfires, but we’re interacting with wildfire landscapes much more throughout time. So that’s part of the reason for some of these increases in wildfire disasters. IRA FLATOW: So you’re saying that even when an average fire burns now, it’s going to have more serious consequences, because more people are there compared to, let’s say 50, 60 years ago. STEPHEN STRADER: Yeah. It’s a very simple concept. And the way I like to think about disasters, specifically wildfires is that it’s two sides to a coin. On one side, we have the effects of climate change. We have increasing temperatures. We have heat and drought that are lasting longer and longer, specifically in the Western half of the US. That influences the environment that can breed wildfires. At the other side of the coin, on the other side, the flip side of the two-headed monster is us. We tend to start the majority of fires as a society. And we’re now putting ourselves into these regions more and more that are susceptible to fires. So both of these dynamic processes are ongoing at the same time, leading to more frequent disasters. IRA FLATOW: You know this sounds very much like climate change and hurricanes, you know. Not more of them, more destructive storms that we get, and then you have more people building on the shorelines or are living in flood plains. STEPHEN STRADER: Yes, that’s 100% correct. And it goes beyond the wildfires in general. It goes to a number of disasters and hazards like tornadoes, tropical storms, sea-level rise flooding. Unfortunately, humans want to live in beautiful landscapes where we have greenery, and we have a lot of land. We want to live where we can see the sunset, or the sun rise, over the ocean. Unfortunately, these regions are also areas where we experience hazards. So we’ve seen the trend, really in the last 100 years, of people putting themselves in very vulnerable situations when a hazard should strike. JOHN KIELY: Hello, Ira. Nice to be here. IRA FLATOW: Thank you. You know we get the impression from seeing these huge fires in the media that the wildfires are increasing. They’re more frequent than ever. But you’ve investigated and found that that is not the case. JOHN KIELY: Well, I think Dr. Strader made an excellent point. And that is historically we have had big fire events. There are really two things we can point to that have changed. And one of them he points to, and that is simply they’re more destructive. More people are affected by these fires. For example, in Southern California we had a 300,000-acre fire in 1889 and nobody died. There were no homes destroyed. What’s changed over that period of time is we have more people on the landscape that are at risk. The other thing, though, that has changed is we are actually getting more of these big fires. 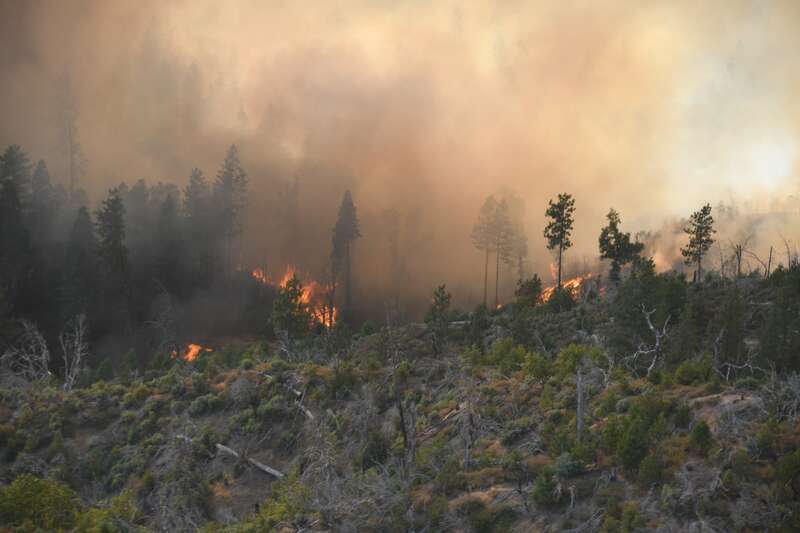 Historically in the twentieth century we would get maybe a 100,000-acre fire once a decade. Now we’re seeing, just in the last year and a half, we’ve seen four really major fire events. So we’re getting more of them. And there’s no question that that’s the case. The real question is how much of this is due to global warming, due to climate change. And at this point I’d say we know that it’s playing a role. We can’t necessarily parse out how much to attribute to that because there are other factors. 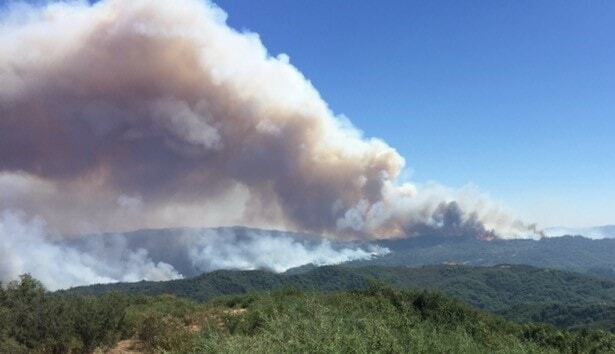 For example, these big fires we’re seeing right now in Mendocino County, and the one up at Shasta, these have occurred during an extreme heat wave with, very high temperatures, and extreme winds. We’ve had heat waves many, many times in the past. We get them somewhere in the west probably every year. But we don’t get big fire events. And so what is the difference is somebody ignites a fire, either intentionally or accidentally, during one of these heat waves, and that relates back to Dr. Strader’s point. And that is you put more people on the landscape, and there’s a greater chance that somebody is going to ignite a fire during one of these extreme events. IRA FLATOW: That leads me to a question that we talked about similar disasters in other parts of the country. We’re building on, you know, where water is, or storms are the great hazard. A tweet from Headley comes in and it dovetails with what I was going to ask. JOHN KIELY: Well, I would say that we certainly have been looking at building codes. And there have been improvements over the last couple of decades. There are limits to the level of improvement, simply because it means higher cost for homes. And already in places like California people are stretched very thin in terms of being able to afford housing. So it’s something that I know politicians have to look at very closely before they make a decision to reduce the fire hazard. Because they know it’s going to increase the costs of homes. So there’s no question that improving building ordinances could be a factor that would help reduce losses. But the other factor is simply that we have more and more people on the landscape and they have to be put somewhere. And it’s part of the reason these fires are getting so disastrous. For example, Santa Rosa suffered, like you mentioned, the Tubbs fire. Disastrous losses of human life and property in October of last year. It burned in exactly the same areas in the 1964 Hanley fire. But that fire didn’t kill anybody. And there was I think maybe 80 homes destroyed. But between ’64 and 2017 there has been a fivefold increase in population. And that’s a big part of the problem. Santa Rosa has grown probably 2 and 1/2 times the average rate for the state. And the city of Santa Rosa has to find places for these people. And so that’s one of those problems that as long as populations are growing, we’re going to see that these decisions are harder and harder to make. And in the next 30 years we’re expecting California will increase by 50%. That means we’ve got real problems to solve. IRA FLATOW: 844-724-8255 is our number if you’d like to join us. Or you can tweet us @SciFri. Stephen, is there any talk of halting development in these wildfire-prone areas? Or do you think that’s, as we’ve been talking about, it’s a political and an economic nonstarter. Who’s going to say you can’t build? STEPHEN STRADER: Yeah, and I agree 100% with what John is saying. Part of the difficulty with this issue with wildfire disasters, and all disasters for that matter, is they have different incentives, or there’s different facets and dynamic processes going on. We have the effects of climate change. But what we’re seeing more and more, or not seeing enough of, is this incentive to not build in locations that are prone to disasters. We’ve done some of this, or we’ve tried to do some of this with the National Flood Insurance Program. And we’ve tried to limit the growth in flood plains to say, hey, these homes if you build here, you’re at risk of flooding. And maybe we should do that with additional hazards. Unfortunately, the incentives just quite aren’t there yet. For instance, recently there’s been proposed one of the largest planned developments in California history in northern L.A. County, where over 19,000 homes are planned to be developed. Issues of wildfire risk have been brought up with this region. And it is in a region of high wildfire risk. Yet, when there’s money to be made, what we do is we see that driving the risk. We see that driving people, almost gambling to a sense, of saying well, we can develop here because if there is a disaster, federal tax dollars will subsidize that disaster. So there’s not really incentive at each individual level that stops us from building in these regions. And that’s what makes it difficult is because we have to work across disciplines, and as part of a team with researchers, public, et cetera, to say, hey, maybe we shouldn’t be here. And then to John’s point, where do we put people at that stage? Cities only have so much land. It’s a very difficult question, and one that I think takes quite a bit of thought and effort. IRA FLATOW: Let me see if I can get a call in here. Let’s go to Sean in New Bern North Carolina. Hi, Sean. CALLER: Hi, how are you? IRA FLATOW: Hey, there. Go ahead. CALLER: Yeah, I try to catch the show whenever I can. Usually I’m on the road, and I love the science. But hey, I just wanted to say that I was wild land firefighter back in 2009 out of Tucson, Arizona, and had fought fires in California. And I got to say, California had the thickest undergrowth I have ever seen in my short time of firefighting. I’ve fought fires in southern Arizona, New Mexico, California, and Oregon and Washington. And you literally couldn’t see 12 inches in front of your face for the undergrowth. And I think that plays a huge factor in that the fires that they’re having now. It’s just the amount of undergrowth they have out there. I saw that were growing horizontally to the ground, looking for sunlight. IRA FLATOW: Let me get a comment. John? JOHN KIELY: Sure. The caller brings up a very good point. And the point is that you can’t attribute these disasters to just a single factor. They’re multi-factorial. And certainly the success of fire suppression on many landscapes has allowed anomalously high levels of fuel to accumulate. And that is a factor in a lot of places. For example, if you look at these recent fires, Mendocino County, the Ranch fire, which was the biggest one of those two fires that merged together, that area, it looked to me when looking at fire maps maybe half of that landscape had not burned in 100 years. And that’s way outside the natural range for those systems. But on the other hand, it should be recognized that about half of that landscape had burned quite recently. And even though it was maybe 20 to 30 years of age, which is quite reasonable, it still burned. And so we have to realize that we do need to deal with fuels. But sometimes that’s not going to be enough. IRA FLATOW: I’m Ira Flatow. This is “Science Friday” from WNYC Studios. I want to thank you, Stephen Strader, science professor in the Department of Geography and the Environment at Villanova University. Thanks for joining us today. ERIN QUESTAD: Thank you for having me on the show. IRA FLATOW: You’re welcome. So what is the prognosis for these areas Once the fire has gone through there? 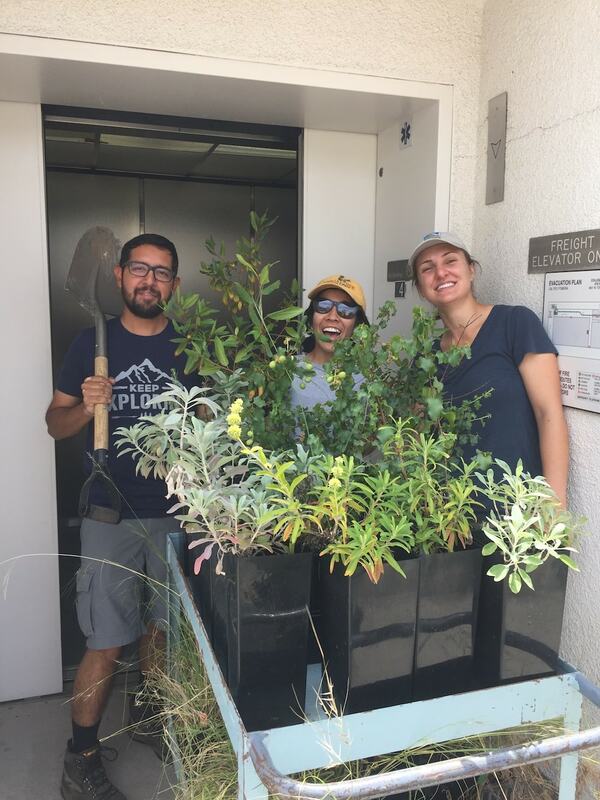 ERIN QUESTAD: So most of our ecosystems in California are adapted to fire, and they do have the ability to respond fairly quickly under the right conditions. So when a fire comes through, it looks like everything has been completely destroyed, especially when we have these really high-intensity fires. But there are actually all of these things underground that are just waiting to come back up. So there’s a lot of seeds that germinate after fire. And a lot of our native shrubs and trees have the ability to re-sprout from their roots underground. And so when the conditions are right, our ecosystems can come back themselves. But you’ve already mentioned on the segment that climate change is creating different conditions now. And another issue that affects the recovery of these ecosystems are invasive species that have been brought into California from other parts of the world. And once these species get a hold in some of these places after fire, they prevent the native species from coming back indefinitely. IRA FLATOW: I know you have a lab where you study the tricks to get plants to regenerate, things like smoking the seeds? ERIN QUESTAD: Yeah, so a lot of that work has been done by Dr. Kiely and others. In California to learn about how different native species in California respond to fire. And they have all these really interesting adaptations. And so we use that in restoration to give them a little bit of a head start. And so if we want to grow some plants for restoration, we first have to get the seeds to germinate by heating them, or smoking them. Or in some cases they’re really stubborn and we have to actually light them on fire. IRA FLATOW: I want to ask the follow-up, but we don’t have time. I have got to go to a break and come back and say, can you really light up seat on fire and get it to grow again? And we’ll answer that question after the break. Stay with us. We’ll be right back talking about the wildfires out there out West with Erin Questad and John Kiely. Stay with us. This is “Science Friday.” I’m Ira Flatow. We’re talking about how hotter, more devastating wildfires and climate change might reinvent the landscapes of the West. And how scientists can help vulnerable native species get a head start with my guests. Erin Questad is an associated professor of biology at Cal Poly Pomona. John Kiely, research scientist with the USGS at Sequoia National Park. Our number 844-724-8255. And when I went to the break, Erin was telling us that in her lab they set seeds afire. Is that right? ERIN QUESTAD: Only when absolutely necessary, and in a very controlled way. IRA FLATOW: But that is the key to getting the seed to sprout and growing again? ERIN QUESTAD: Yes. Some of the species are very difficult to germinate when they’re not in their natural conditions. And for a few of them, that is the most effective strategy to plant them in a planter and set a very small fire on the top. IRA FLATOW: John Kiely, you know, I hear stories here in the east about like maple trees, maple syrup trees moving north because they really need the colder climate. And now that climate change is here, is that happening out there? Are extreme drought and wildfires changing the landscape permanently? Are some species moving north? JOHN KIELY: Well, there’s no question that that is a big concern. In fact, this week I was at the Ecological Society meetings here in New Orleans, and there was a lot of discussion of models that people have been developing predicting pretty radical shifts in range expansions due to global warming. So it is something that we’re very concerned about. But at this stage, seeing evidence of it, there’s really limited evidence of it. But there’s plenty of reason to expect it based on the close association between temperature and species distributions. And the predictions for the future suggest things are going to move. And one of the big restoration questions today to many managers is how much should we assist this process? And it’s a process known as “assisted migration.” If we expect species to move north, or to be favored further north, should we actually help them by moving seed sources to areas outside the current range? And that’s a matter of a lot of controversy right now. IRA FLATOW: Well, let me follow up a bit on that. I hate to ask this, Erin, but the Mendocino Complex, the fire is over 300,000 acres. You talk about the seed that you’re growing and getting to sprout. How do you replant seedlings on 300,000 acres? ERIN QUESTAD: Yeah, well. There is usually not enough funding to do all 300,000 at the same time. And so what we research in my lab is how we can allocate our resources for restoration strategically. So we use a lot of mapping and terrain modeling, which helps resource managers make decisions about where the best places are on the landscape to implement restoration. So we can start with the highest-priority places first and then work our way into larger and larger areas. JOHN KIELY: I should add to that, if I could Ira, there is certainly a need for restoration under many circumstances where there has been human disturbance. 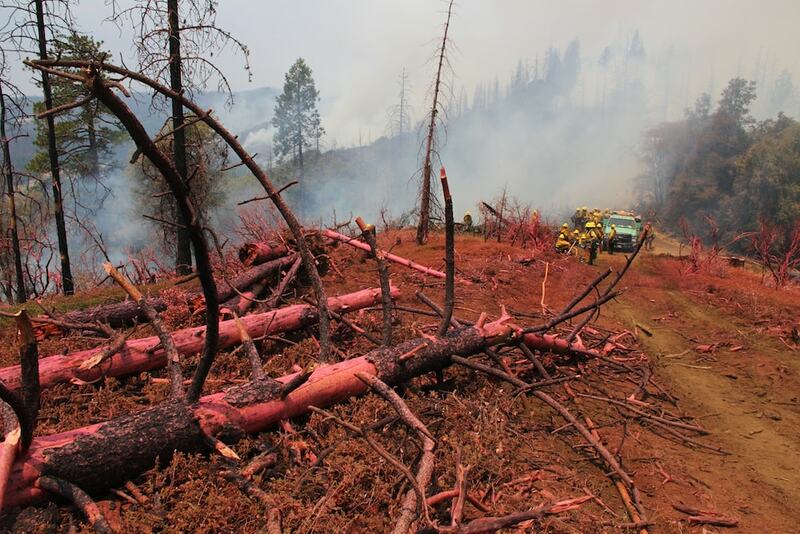 But even an area 300,000 acres like the Mendocino Complex, there is abundant seed sources that have been sitting in the soil since the last fire, even though as many places it was 100 years ago. And those seeds are going to regenerate and re-establish. And so it’s one thing we’ve learned over the years about chaparral generation after fire, and that is it’s not heavily affected by fire size. It has plenty of seeds in the soil. And a good number of the species actually regenerate by sprouting from the base of the burned out skeleton. So we generally don’t think fire size is a big inhibitor to recovery in chaparral. But in a lot of cases, humans have introduced other types of disturbance, and under those conditions, we do need to think about ways to restore areas where the natural system has been disrupted. IRA FLATOW: I can see the optimism that you have about this. I guess you have to be an optimist to work in these fields. JOHN KIELY: You do. You have to be. ERIN QUESTAD: Restoration requires a lot of stubborn determination. IRA FLATOW: That’s a good place to end our conversation. IRA FLATOW: And optimism. Don Quixote and all of you. Erin Questad is a restoration ecologist, associate professor of Biology at Cal Poly in Pomona. John Kiely, research scientist at the USGS at Sequoia National Park. Thank you both for taking time to speak with us. JOHN KIELY: Thank you, Ira. The recent Northern California wildfires have burned entire neighborhoods—a look at the potential health hazards of the resulting smoke and debris.